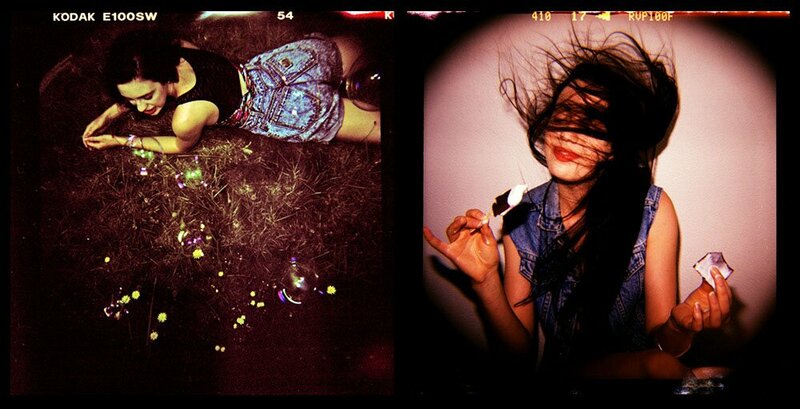 PLAYSTICK is a section dedicated to “toy camera” photography. The name Playstick comes from a well known simplified male figure illustration called Play Stick. The name also contains the word plastic as an association to plastic (or toy) cameras like Diana, Holga, Lomo LC, Lubitel, and others. The so-called “toy cameras” are usually inexpensive film cameras, usually made of plastic (and often with plastic lenses), dating back to 1960s, when such cameras were often used as giveaways or prizes, or sold in drugstores near tourist sites. 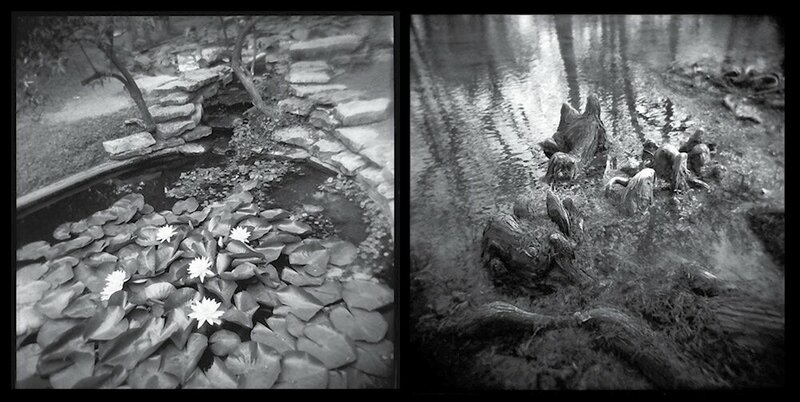 Most of the “toy cameras” of this era used medium format film, as it was less expensive than the 35mm film. The popularity of such medium format toy cameras among the more serious photographers started with the Diana camera in the 1970s in the USA (cf. Nancy Rexroth, “Iowa”, 1976). The Diana was a plastic bodied, simple camera which used 120 format (medium format) film. By the end of the 1970s, however, the production of Diana cameras has already stopped, but other companies in Hong Kong and Taiwan continued to make similar cameras. The most famous of these Diana successors is by far the Holga camera: even more rudimentary than Diana, it has no aperture selection and only one shutter speed. The Holga was originally intended as a low-cost mass-produced “camera for the working class” in China. There were other similar cameras used in various parts of the world: in Europe (Germany), the popular models were the bakelite Agfa Click (6×6 negative format on medium format film) and Agfa Clack, which was a bit more “sophisticated” camera, offering 6×9 negative format on 120 film and a rudimentary “close focus” (1-3m). It could be said that all these cameras are continuation of the box camera philosophy/concept, i.e. the famous Kodak slogan: “You press the button, and we’ll do the rest”. There were other, more sturdy medium format amateur cameras, which are by todays’ standards also “toy cameras”, but which are capable of producing surprisingly good photos, like various Kodak or Ansco models, or the long-gone Dacora, Bilora, Halina, Certo, etc. – including again various Agfa models, aimed at more advanced amateurs. Another impetus for the popularity of toy cameras was the emergence of the “Lomographic Society”, a photography movement started with the marketing of Russian-made Lomo 35mm camera in Western Europe: although somewhat different in the commercial approach and technique, it nevertheless proved to be a significant marketing force which contributed to widespread and worldwide use of the “toy cameras”. The toy cameras usually also have a number of faults, as perceived by traditional photographers: the resulting photos are often unsharp and blurry, the lenses usually vignette (giving the resulting image its characteristic dark corners), and the cameras themselves are often prone to light leaks due to sloppy manufacturing standards (or the absence thereof). However, for the photographers using the toy cameras it is precisely these shortcomings which give their photographs a certain artistic, or pictorialist, effect. The Lomography movement in particular embraced the unpredictability of the toy cameras and welcomed chance as a crucial element of the Lomography aesthetics, embodied in their slogan “Don’t think, just shoot!”. It can be said that nowadays the toy camera aesthetic has become a legitimate artistic photography expression, perhaps even as a backlash against the sterile technical perfection offered by the modern auto-everything digital cameras. 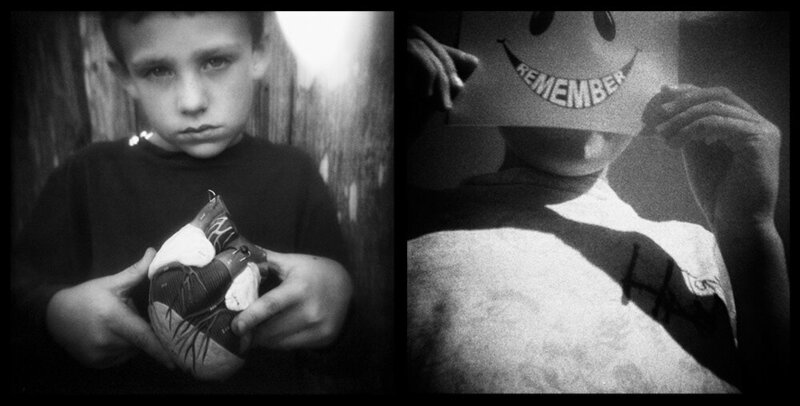 “I love toy cameras for their simplicity and technical imperfection. They allow me to rely more on intuition. I accept the probability of a mistake in advance and boldly experiment with multiple exposures, light leaks, random overlapping, and so on. In the photographic series My Affair with Diana, Daniel Grant captures compelling vignettes of women using a Diana: a mid-century plastic camera embraced by contemporary artists for its simplicity of use, expressive results, and iconic square format. "These photos started as a project I could easily do at home with my kids. My daughters enjoyed dressing up, and we liked to draw and act out scenes for the camera. We enjoy reading fairy tales and other classic fiction like Alice in Wonderland. While oftentimes these stories come with illustrations, it is always fun to interpret them on your own and draw out your own version." "James Arnold is a small, bald photographer and graphic designer, originally from Northern England. He likes cheese and pickle sandwiches, composting, and holidays in Cornwall. General hobbies include cycling along country lanes, feeding garden birds, playing the ukulele, and starting small fires." "On The Surface is a new and ongoing body of work that explores my feelings of deception and abandonment. The recent discovery and diagnosis of a life-threatening illness for a beloved family member, along with the realization that the illness had gone unnoticed for some time, has forced me to look at my life and my work in a new way. 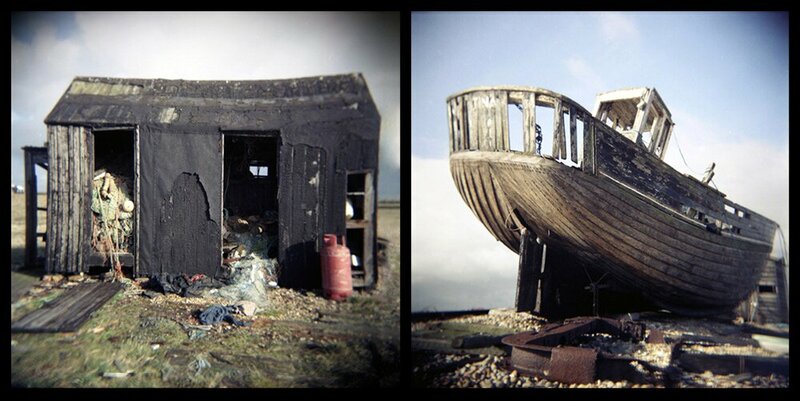 These images of abandoned homes are digital composites made from Holga negatives to intentionally deceive the viewer. How the deception manifests itself is left to the personal history, emotions, and imagination of the individual viewing the image." "I am inspired by everything I see! Scenes of everyday, and also through the Internet. I collect all of the photos I like. I often look at these photos, and they feed my inspiration again and again." "I love to create other worlds - impossible images. I like to create dreams. | Mery Adrian, Spain"
"I was introduced to photography in 2007 as I started traveling on my own through several remote countries. Three years later I developed my skills with analog plastic cameras to intensify the impression of world’s wild places by experimental double exposures and jazzy cross processing, which give them an absolutely unique touch | Ute Kranz, Germany." "Anywhere that I suspect people are having a good time or, in some cases, a meaningful time, I believe there are pictures to be made. I don’t have to necessarily be inside of or even agree with the nature of the groups in question. It is enough that they are in it together, and I find that interesting." In July he will be on the expedition in the far away Indonesia, he will photograph dragons on the Komodo island, cannibals on Papua New Guinea, tribes on Borneo... In 90 % of the cases he uses only cheap plastic cameras. He adores the Polaroids. Currently working as a photographer for Disney Cruise Line. "In her self portrait work, Jennifer expresses her deepest emotions and dreams by striving to create unique perceptions of her inner self. A lot of her images are created by experime­nting with techniques, such as long exposures, motion blur, film grain and other in camera manipulations." Born in Brazil, Maurício has been involved with photography since taking his very first lessons in high-school in his native hometown of São Paulo. He has lived in London for over ten years where he developed a passion for a more lo-fi approach to photography by using a variety of toy-cameras, pinholes and old cameras mainly found on flea markets.